Donovan Stratemann, 17, who died after a polo accident in Florida on Thursday. Just two days after the tragic death of a young polo player in Florida, eight of the world’s highest ranked 10-goal polo players will play in a 40-goal fundraiser to help seriously ill and injured polo players. 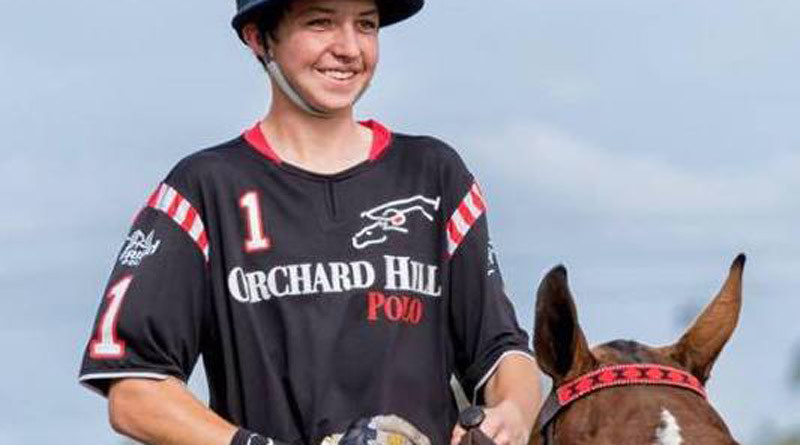 The polo community is mourning the death of 17-year-old Donovan William Stratemann, who died from injuries sustained in a polo accident on Thursday. The son of Chris and Sonia Stratemann, and brother of Alexandra and Maya, was a popular young player who showed quiet determination and perseverance, the US Polo Association said. Donovan’s horse collided with another player’s mount during a match at the Santa Clara Polo Club, at about 3.30pm. He was flown by helicopter to Delray Medical Center. Stratemann family friend Julio Arellano said: “Everyone who met him, loved him. Donovan was homeschooled in order to take care of his horses, play polo and spend time with his family. The Stratemann family lives in Ada Michigan, but spend winters in Florida for the polo season. Chris Stratemann is the manager of the US Open Championship Orchard Hill polo team. It is the third polo player death since 2014 in Palm Beach county, following Carlos Gracida, and Bob Daniels. The 2017 Ylvisaker Cup final on Sunday, February 18 at 3pm at the International Polo Club in Palm Beach will be dedicated to Donovan. At that match and at all matches throughout the weekend at IPC, the players will wear black armbands with Donovan’s initials. A Polo Players Support Group fund-raiser is also taking place on Sunday, during the Nespresso 40 Goal Challenge fundraiser. Now in its 16th year, today’s most accomplished and elite players, including the legendary Argentineans Adolfo Cambiaso and Facundo Pieres, will compete in the country’s only 40 Goal exhibition match to help raise funds for seriously injured or ill polo players and grooms nationwide. Before the main event, gifted junior players, some of whom are the sons or daughters of the featured professionals, will take part in the Bright’s Creek Future 10’s Match. Co-founded in 2002 by Toronto native, David Offen ,Tim Gannon and Tony Coppola, the Polo Players Support Group was established to provide financial assistance to seriously injured or ill polo players and grooms, and since its inception, the PPSG has paid out over $2 million to 63 beneficiaries to-date. It was founded after Rob Walton broke his neck while competing in 1995. He is now a quadriplegic. ← The cinnamon comeback: Can it help your horse’s health?